If you have a nice office space, it goes without saying that you will also want to place an attractive desk in it. Today, many different office furniture can be found on the market, but a design agency secretly always stands head and shoulders above it. 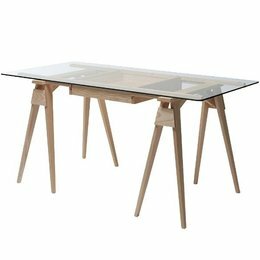 Choosing to order a design desk from the offer here at Nordic New not only ensures that you choose a very nice desk, you can also count on a very good quality. This ensures that you immediately have a desk that you will enjoy for many years. Does this also sound interesting to you and would you also like to order a design desk? Do not wait any longer and get them now at home here at Nordic New! A design desk that is purchased here at Nordic New is not only an added value for your company, many people also have an office at home. Here you probably do the necessary paperwork or read the newspaper or a magazine in peace. Anyway, even in a home office, a design agency will undoubtedly come into its own. Take a quick look at our assortment here at Nordic New and discover which of the different design desks is most interesting for you. Discover your design agency in our showroom? We understand very well that you may not want to just buy a new agency via the internet. That is not necessary at all. After all, we of Nordic New do not only have a webshop, we also have a physical store. You can visit our physical showroom near Rotterdam and Den Haag, where we stock many designer items from our range. Would you like to see your future agency in real life before ordering it? Do not hesitate any longer and come visit us soon in Bleiswijk. Also enrich your office with a beautiful design desk! The information on this page makes it already clear, we can safely say that it is highly recommended to buy a design agency from the assortment here at Nordic New. Not only do you opt for a visually stunning desk in this way, it is also very nice to work on. 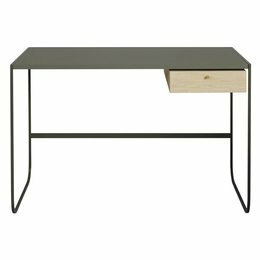 Getting a design desk at Nordic New ensures that you have an excellent desk and that at a very interesting price tag. In addition, no shipping costs are charged for deliveries in both the Netherlands and Belgium, so you also do not have to take this into account!